Our society has come a long way in its treatment of women, though sometimes it's clear that we still have a long way to go. One thing I do know for sure, though, is that when it comes to the tiny house movement, women really can drive and accomplish great things. 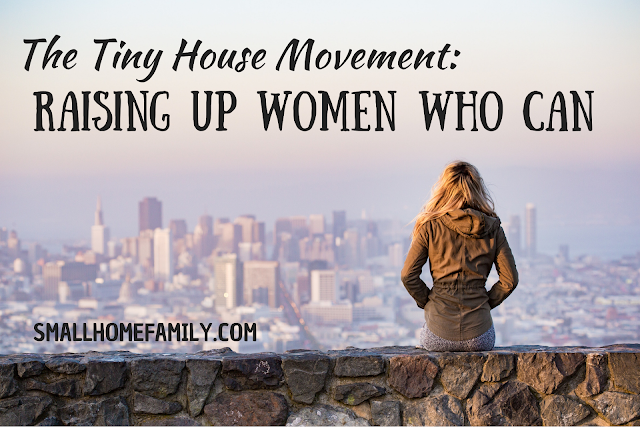 Some of the big names in the Tiny House Movement belong to women. It's not hard to find names like Macy Miller, Jenna Spesard, and Dee Williams sprinkled throughout the tiny house literature. In addition to these highly visible females, it's everyday women who are driving the tiny house movement in a big way in the United States and around the world. I see what some of these women have accomplished, especially those who have taken up a hammer and crafted their own future, one board at time, and I am amazed. Construction and home improvement have long being the domain of men. I grew up in a home with loving parents, and I had a great childhood. In our family, my dad is and has always been the go-to guy when it's time to build or fix anything. He really knows what he's doing, and he has taught me so much. In my own naivete, I assumed all men were like that and that it was the man's job to build things and fix whatever broke around the home. As I learned early in our marriage, that's just one way that a family can function. Not every man is a handyman. 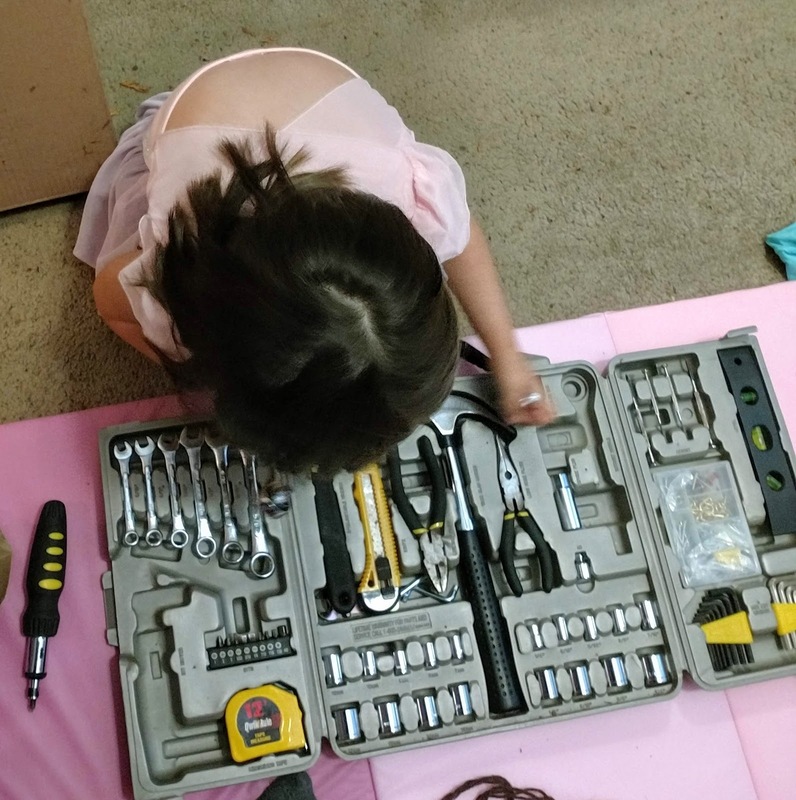 And many women, if given the chance and the tools and the training, are just as capable as their fathers, husbands, and sons in the arena of home construction and improvement. It took a few years into marriage for me to realize that while my husband can swing a hammer, most of his talents lie elsewhere, and he doesn't enjoy building and fixing things nearly as much as I do. Not only was he not like my dad, but clearly I inherited a lot more of my father's talent for fixing things than I ever realized. Gender roles are tricky things. This is something I think about often as we raise two beautiful, smart, talented girls to find their strengths and establish their places in this world. I want my girls to grow up seeing that they are strong, capable women. I want them to learn what it means to give and accept help when needed and to be kind and respectful of all people who cross their paths; male or female, we can all look out for each other. I want my daughters to always be ready to learn, to better themselves and add to their skills to survive and thrive in this world, whatever that looks like for them. I want them to be able to build furniture and fix broken appliances and hang heavy objects properly on walls so they don't fall down in the middle of the night. I want them to know that they can do so many things if they take the time to learn from those who would teach them. I want them to face an obstacle head on and say, "I got this." I don't want the world and all of its stereotypes ever to beat them down and tell them they can't. And if they want to build a tiny house someday, I hope they'll let me bring my own hammer and join them. You got this, ladies. Don't ever let anyone tell you otherwise.